Like many adults of a certain age, the announcement that the Disney Channel had ordered a reboot of the ’90s family sitcom Boy Meets World filled me with a fair amount of nostalgia-fueled excitement. Cory and Topanga had a 13-year-old daughter! And she was getting her own show! So I watch, and my husband ninja-watches, and while Girl Meets World bears little resemblance to its predecessor, both Joe and I have to admit, the show has a certain cuteness to it. Well, except for the fact that Sabrina Carpenter, who plays titular character Riley’s best friend Maya (the reboot’s version of Cory’s BFF Shawn) looks like a miniature adult. Aren’t you supposed to be 13, you Britt Robertson doppleganger, you? The episode opens with Riley and Maya in art class. This is notable for many reasons, not the least of which it’s the first time we see the kids in a class other than Cory’s history one (because of course Cory became a Mr. Feeny. Of course he did). In the background, we see an enormous banner that reads CAREER DAY TOMORROW. The girls draw their classmate Farkle, who poses as a live model dressed in what looks like a swimsuit from the 1920s. There’s a dumb joke that involves Lucas, Riley’s love interest, speaking fluent French, which I mention only because it comes into play a little later. Next, Art Teacher (she never warrants a name, apparently) comes around to view the girls’ work. “Oh my gosh,” she says, in a breathy voice that lets us know she’s impressed. But it’s not her work that has their art teacher all frothed up, it’s Maya’s. She declare’s Maya’s sketch – Farkle in a big bird’s nest on the branch of a tree (“It’s a work of surrealism,” Art Teacher informs Riley) – “brilliant.” She tells Maya about an upcoming school art exhibit and how she’d like her to submit a piece to it. “What about my piece?” Riley asks, smiling and hopeful. Strike 1 for Riley’s self-esteem. At home, Riley tells her baby brother Auggie that their parents have been lying to him. “Your artwork wouldn’t hang on a single refrigerator outside this apartment,” she informs him. “Oh, you are a little genius,” she reassures him. “You said I was a little genius,” Riley reminds her. Strike 2 for Riley’s self-esteem. Strike 3 to Riley’s self-esteem. In four minutes, not one but two adult females – including Riley’s own mother – have reduced the poor girl to a fashion choice. Riley turns to her father for support, but all Cory cares about is eating mashed potatoes. Desperate for something – anything – to hold onto, Riley asks her parents about their talents, and if she may have inherited one from them. We are told that Cory has a gift for “close-up magic” (who knew?). He demonstrates this by “magically” transferring salt and pepper shakers into Auggie’s shirt pocket. “Why aren’t you famous?” Auggie demands. She’s Topanga! She’s a brilliant lawyer! Of course she has a talent! So what exactly IS this talent? “Your mom’s hips don’t lie!” Cory tells his daughter excitedly. Topanga springs up from the dinner table to chant “Ay, yie, yie, yie” and swivel her hips in a circle. Riley – who I’m starting to thing is the smartest one in the room, despite her mother’s advanced degrees – puts her head down on the table in defeat. Maya’s mother is notably not in attendance, though she told her daughter she would be. This distresses Riley, and ten minutes in, we realize the focus of the show is going to shift to her more worldly BFF. This isn’t surprising; after all, the episode is titled “Girl Meets Maya’s Mother.” But also: seven episodes into the series and, much like Rider Strong’s Shawn did before her, Sabrina’s Maya manages to steal every scene she’s in. “Do YOU have a helicopter?” he asks Cory, who shoots back, “Do YOU have a Topanga?” thereby reducing his childhood sweetheart to a trophy he’s won. Minkus and Topanga engage in some competitive banter and my-kid-is-better-than-your-kid one-upmanship. Then Minkus meets Riley and Maya. He’s under the false impression that the two girls vie for his son Farkle’s affections and not the other way around. Farkle asks the girls to play along and Riley, being the nice simple girl whom everyone likes, does. Maya adds, in a deadpan voice, “We hope that one day one of us will be lucky enough to become the future Mrs. Farkle Minkus and have a lot of baby Minkii,” thereby uttering the best line of the episode. 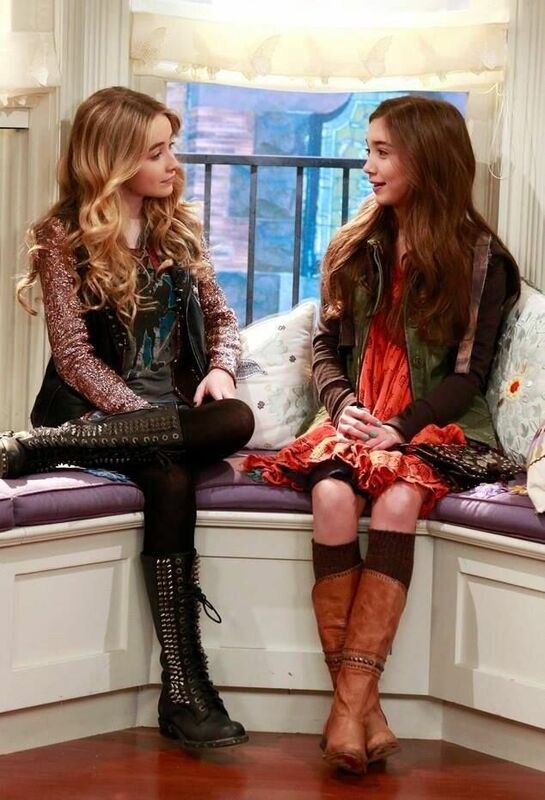 After the commercial break, the second act of the episode focuses on A) Maya’s art, and why she won’t enter the school art show (“I’m fine believing that nothing much is going to happen for me,” she tells Riley) and B) Maya’s complicated relationship with her flaky mother. The girls have one of their signature heart-to-hearts on the window seat in Riley’s bedroom. Maya, already jaded at 13, tells Riley that she doesn’t share her friend’s expectation that good things happen and that people (like Maya’s mother) will “show up.” But Mama Katy DOES show up, one day too late, clad in a vintage-y waitress uniform, speaking in a bizarre Southern accent and spinning a yarn about delivering a baby in the Colorado River that turns out to be the plot of a soap opera she auditioned for (and didn’t get). Riley tells Katy about the art show and that she expects Katy to “show up” for her daughter. “Sure,” she says, and we know she’s lying but Riley, bless her heart, does not. She goes behind Maya’s back and signs her up for the art show anyway, which leads to a fun paint fight in class the next day. “Why won’t you leave this alone?” Maya demands. “I don’t know how!” Riley tells her. Of course, Mama Katy bails, fulfilling Maya’s expectations and dashing Riley’s hopes. Maya’s painting tells the story best: It’s of a diner, with a sliver of blond waitress appearing on one side. “Why can you only see half of her?” Farkle asks, before Lucas stifles him. She gives Riley a tuna melt, which we later learn is Maya’s favorite, and that she gave it to Riley knowing that the girl would share it with her daughter. But first, Riley must apologize to Maya for interfering. Maya, however, won’t have it. After all, Riley forced her to show her work, and she was surprised to discover that people liked it. “It made me feel like I could be something someday,” Maya tells her. Okay, so let’s forget about Maya’s sitch for a minute, because even though it’s thoroughly depressing, we see that despite having crappy parents, Maya’s smart enough and talented enough that she’s going to be okay. We’re confident that her self-esteem will improve eventually, because she’s got the Matthews family and, most notably, Riley for a best friend. And yes, I get that the Riley put-downs were made for cheap laughs, and I get that a lot of people who read this (if anyone actually DOES read it) will write off my rant as an adult over-thinking a cheese puff of a tween TV show. But I also have an almost-10-year-old stepdaughter who watches shows like this on a daily basis. I don’t want her ingesting messages like “you don’t have to be talented if you have cute clothes.” She’s going to have enough pop culture messages attacking her teenage self-esteem over the next eight-plus years; does she have to find them on Disney as well? 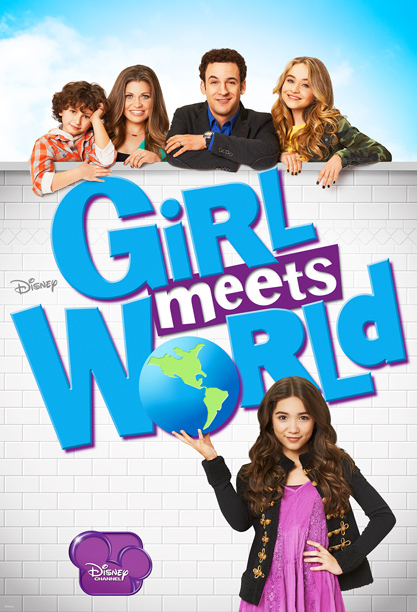 Girl Meets World went on hiatus after this episode; it returns this Friday night. And I’ll watch it, only this time it won’t be for the nostalgia factor. This time, I’ll be watching to see if the messages the show sends to its female viewers has gotten any better.